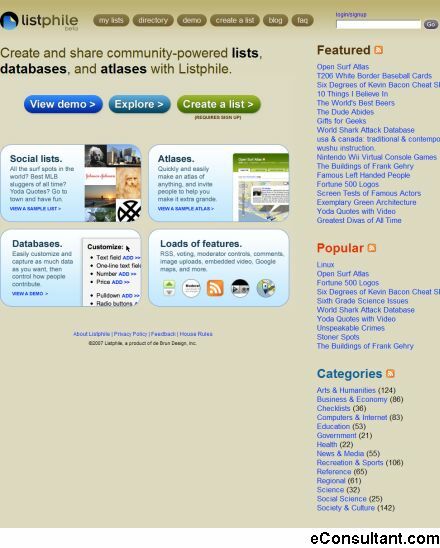 Description : Listphile is a free website that enables anyone to create collaborative lists, atlases, databases and more. Lists can be broad and ambitious (like a List of All Baseball Players Who Played in the Majors) or niche, or quirky or ridiculous. You can collaborate with other people to share, create, and make something that will benefit humanity.